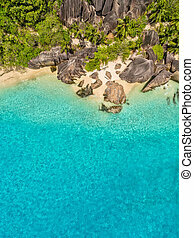 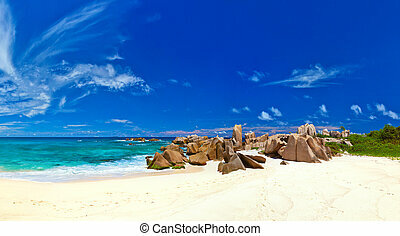 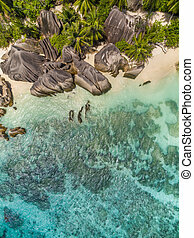 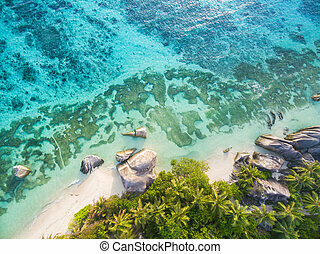 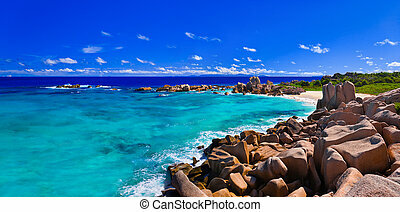 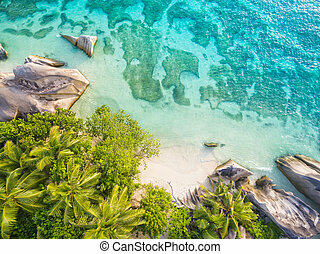 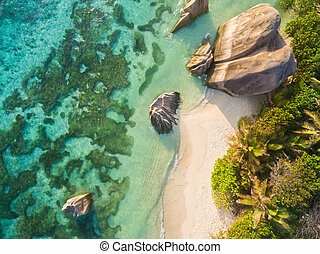 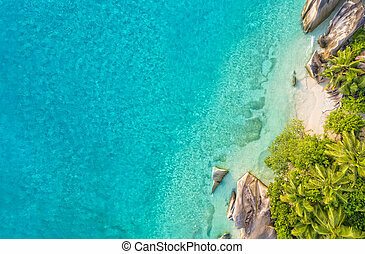 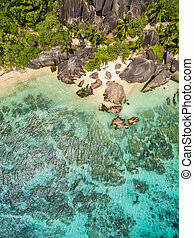 Aerial photo of seychelles beach at la digue. 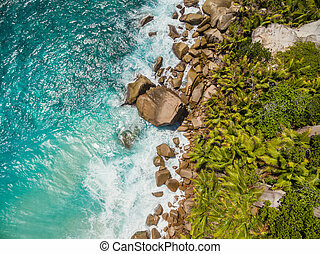 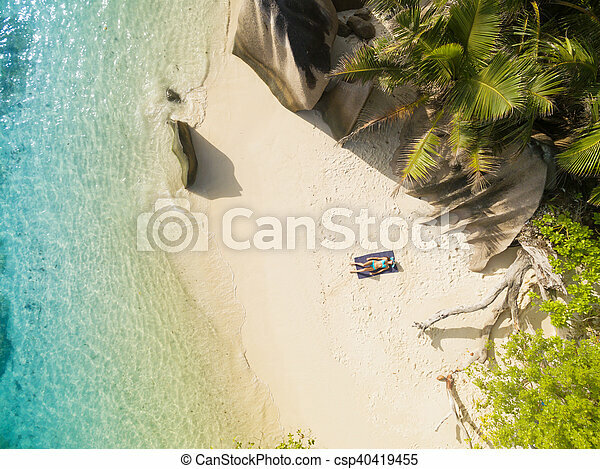 Aerial photo of seychelles tropical beach anse source d argent at la digue island with young woman sunbathing. 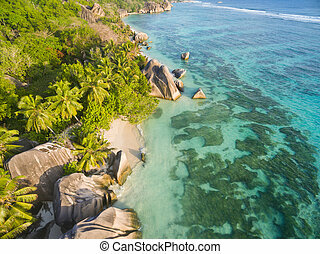 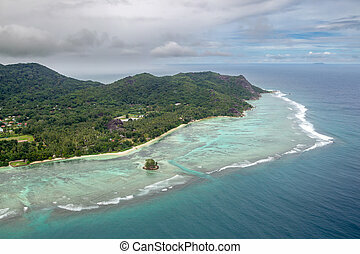 Aerial view of La Digue, Seychelles in the Indian Ocean. 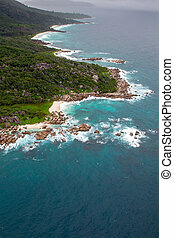 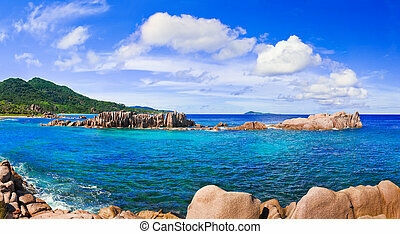 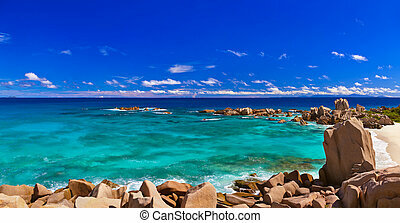 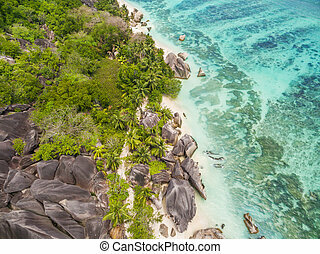 Aerial view of the south coast of La Digue, Seychelles in the Indian Ocean.